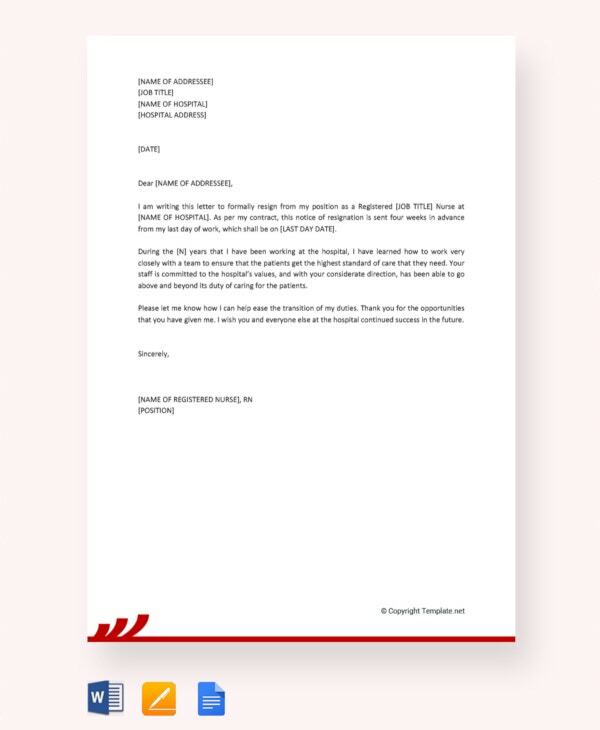 The 4 week notice nursing resignation letter template in PDF is a well detailed resignation letter word template that is addressed to whom it may concern. 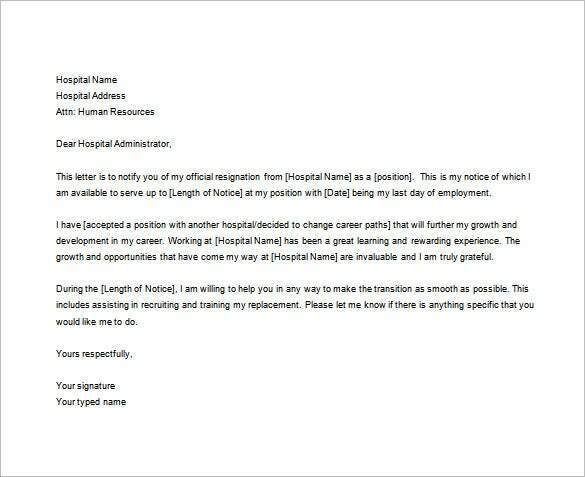 It explains the reason of resignation and serves the 4 week notice period. 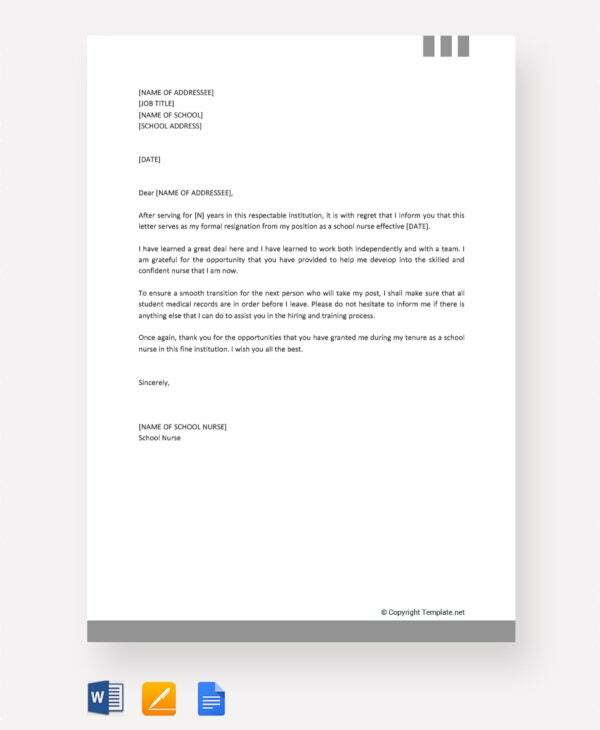 The formal resignation letter template is a professional resignation letter template that is used to resign from the job of a nurse in hospital or community clinic . 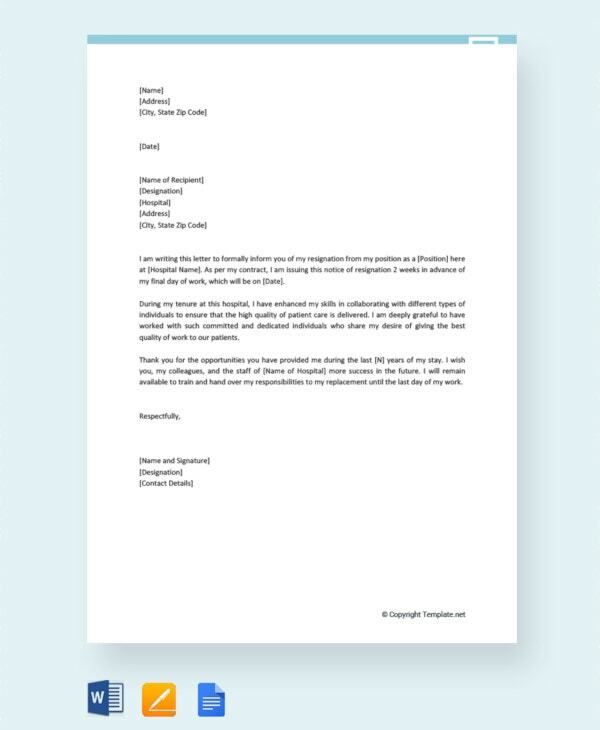 You may also see Employee Resignation Letter Templates. 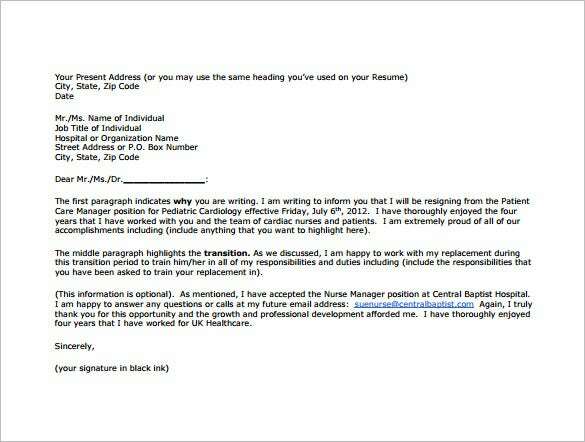 This is a sample nursing resignation letter that a nurse is sending to her employer. There are instructions in the template that asks the nurse to write the reason as politely as possible. 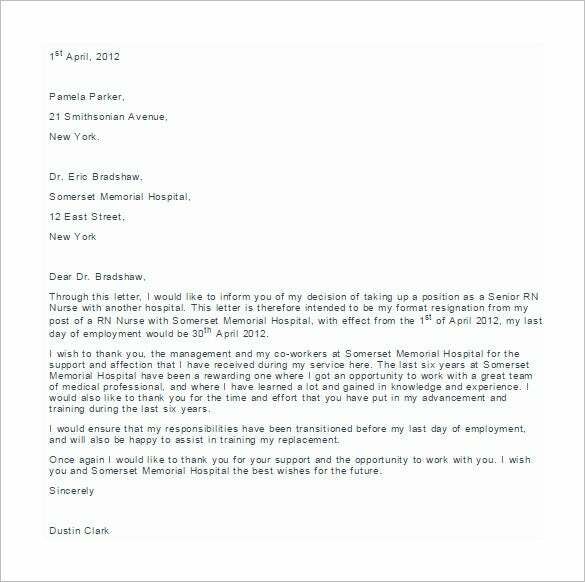 Doing this will help her get a reference letter which will help her in getting future jobs. If she has some problems in the current department, she should state them politely with an aim to not offend the current employer. She also gives her address where they can send her current pay slip and P45. 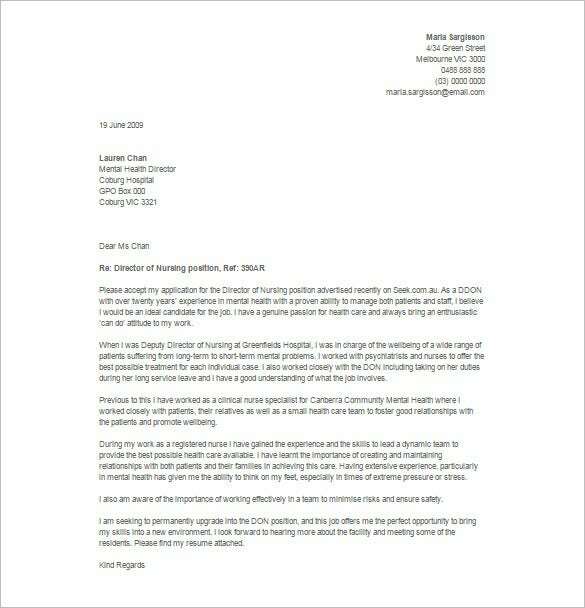 The letter should be a professional letter. It must follow the right format or a formal letter. 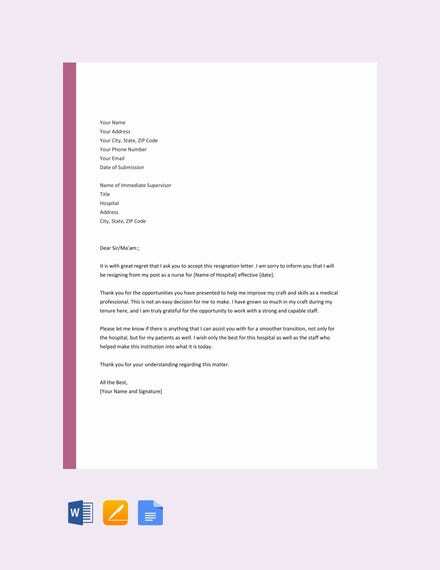 Download PDF, word or excel Resignation Letter Templates for help. 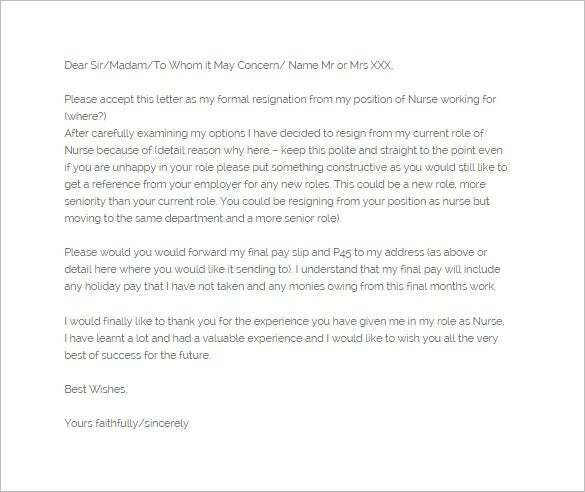 Why Do You Need a Nursing Resignation Letter Template? A nurse’s job is to take care of the ill, and work for their health benefit on all terms. But sometimes, a nurse may need to leave a job and move on. She may be getting married, relocating, or getting a better position with a better pay. Whatever the reason is, she needs to submit a nursing resignation letter to her current employers. 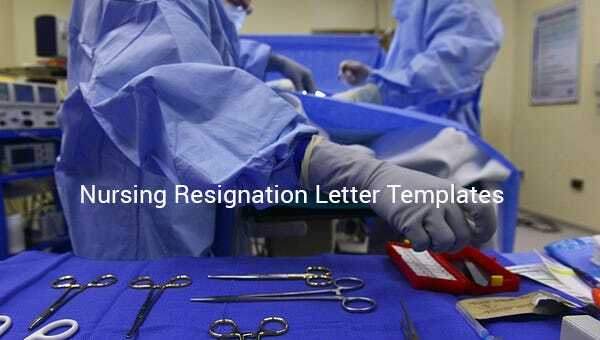 If you are also a nurse and want to quit from your current nursing job, then use one of these nursing resignation letter templates to write your resignation letter the way it should. A single wrong word can ruin your entire reputation in the hospital. So, download the template as per your reason of leaving, and leave your job with a positive note behind you. 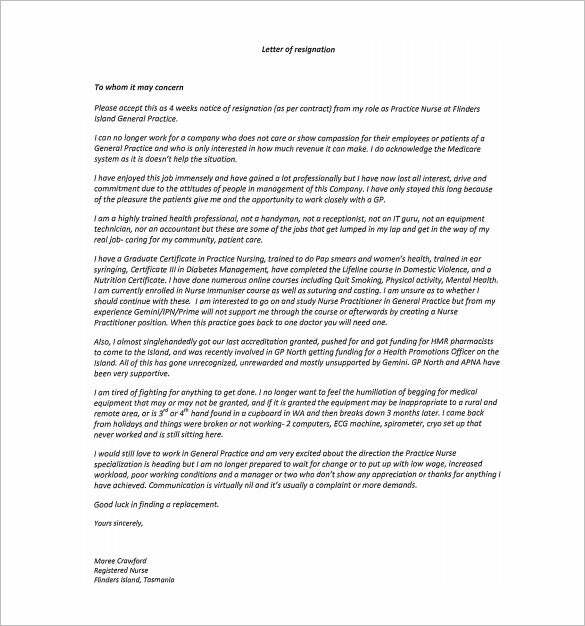 You may also see Resignation Letters in PDF. 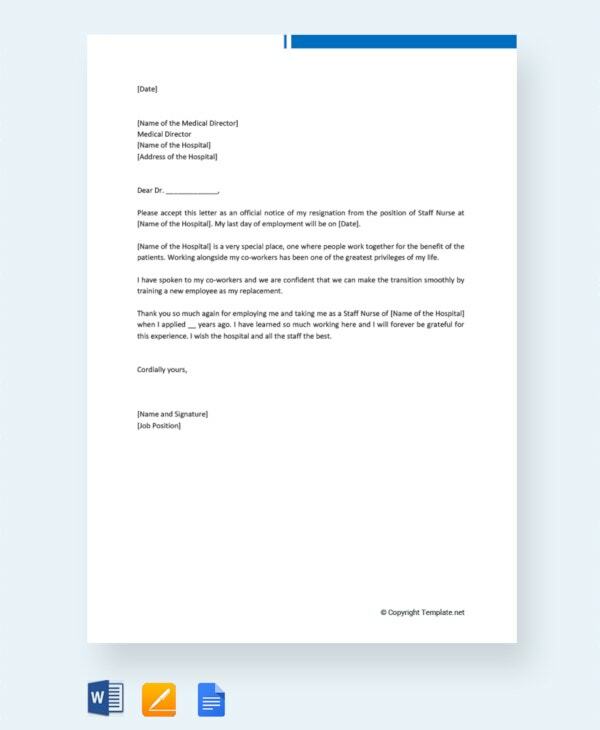 When Do You Need a Nursing Resignation Letter Template?